The Roundhouse, London was built back in 1846, and it’s purpose wasn’t always to be a music venue. It was used as a railway roundhouse for the first decade, but has also fallen into disuse in its’ long history. The listed building has been used as a performing arts venue since the 60s, and has hosted BBC Electric Proms, Bob Dylan and many more incredible shows and music artists. Music Programmer at Dreamland Margate, Thomas Ranger spoke to us about why this venue is so important to him. 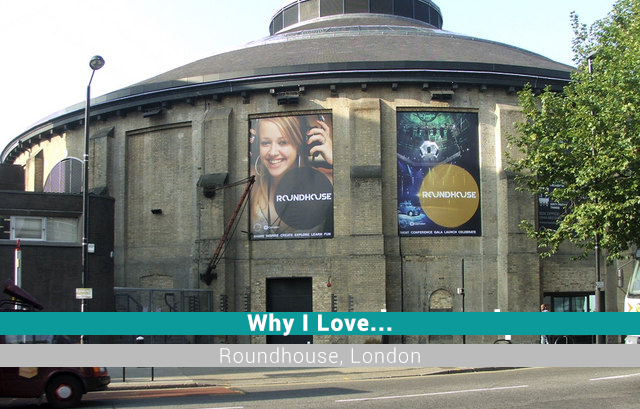 Can you summarise your love for Roundhouse in one paragraph? For the mid-size level venue, I think Roundhouse really does tick all the boxes. The size is perfect to see those breaking bands who are tipping over to academies / stadium journeys, whilst also offering a beaut’ of an ‘underplay’ for the household names – or those acts returning from ‘off-cycle’ / hiatus. With the standing and seating areas, it really can work for whichever gig-mode you are feeling like and with the sound and lighting setup, there isn’t really any site-kill or poorer sounding area so wherever you may be positioned, you feel immersed in the performance. Also, if seating on the back-right of the upper-level, you can see the bands coming on and off stage or any quick-change / production / technical activity which is fun if you are a music events geek like me! Do you have a particular anecdote or memory attached to Roundhouse? We’re not saying you should mess with perfection, but if you could change anything about this venue what would it be? As I understand it, there isn’t much of a late license in place so maybe that could be an improvement so you could add more electronic / club-based activity till the early hours to the programme. I realise we have many fantastic spots in the UK already for this kind of activity but as with all the other shows in Roundhouse, some of the production / technical additions you can make with the size and space (not to mention the circular truss structure!) for some producer / DJ performances could be immense. Supported by the fantastic sound system and lighting rig. How would you persuade any music fans – or non-music fans for that matter – to visit Roundhouse? If you would like to be immersed in a musical experience, go and check out a show at Roundhouse… whilst there, look up. If you fancy checking this historic venue out, you can see all the shows coming up below.